Ready for a brass brush, some liver of sulphur, a toss in the tumbler and a final polish. They might not look like silver at this stage, but that is exactly what they are. .999 fine silver and nothing else. I love moldable metal! WOW!!!! i’m so inspired by your productivity! 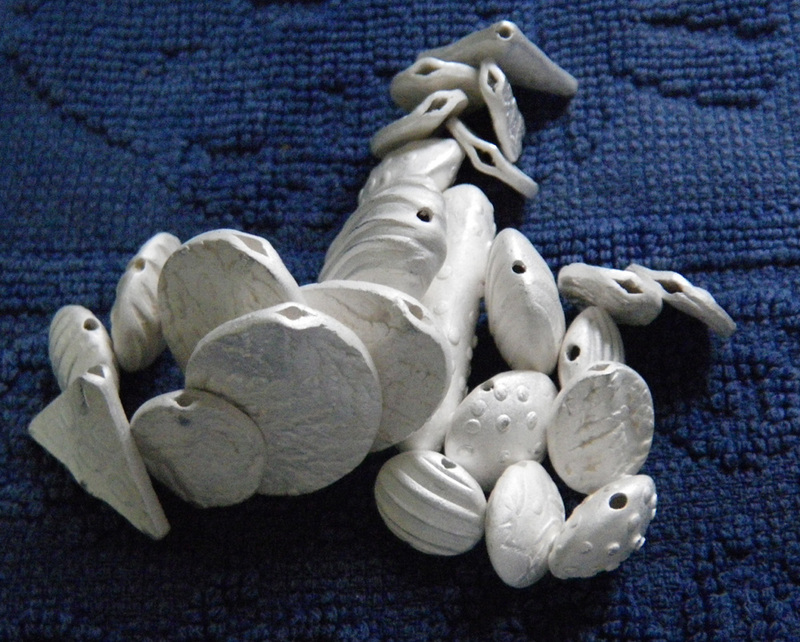 i’m trying something new…working on grades for an hour or so each night so my weekends can be freed up for only family and creative endeavors…..
i’m just ITCHING to get to the metal clay….. The weekend is coming up! Hope you get some studio time. You go girl! Holly stole my words, which were “wow” and “inspired”. I’ve been making more wave and coral pieces, working late into the night after I get home from long days at the office. I haven’t made time to blog, but maybe I can get to that this weekend. 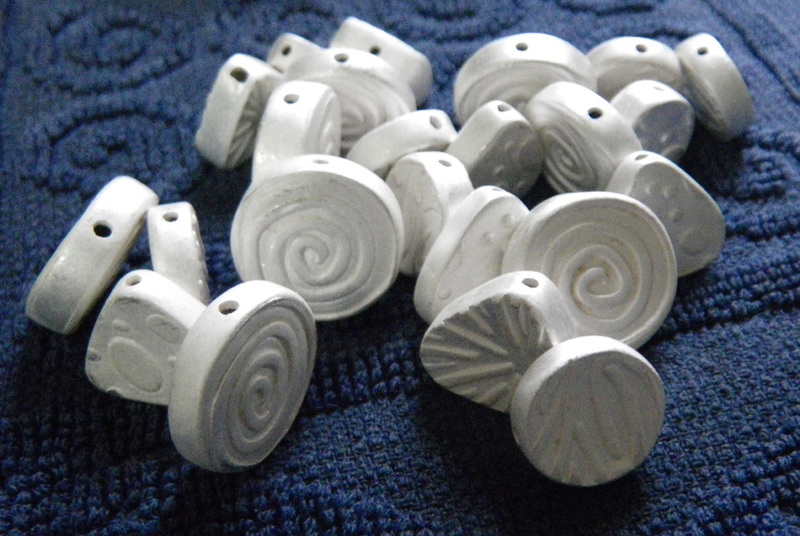 Love the silver beads and can’t wait to see what you make from them. You sounded like you are having the week from Hell. There will be time to blog again soon. Thanks. We’ll see what happens with the beads. I was hoping to polish them today, but…. Love your beads and “rocks”…how do you get them so perfectly smooth? Must be a lot of Zen sanding going on! Just beautiful! I’m looking forward to seeing how you are going put all that beauty together! Actually not a lot of sanding. I made the rocks from silicone molds of smooth beach rocks, so there is only minimal sanding along the seam. 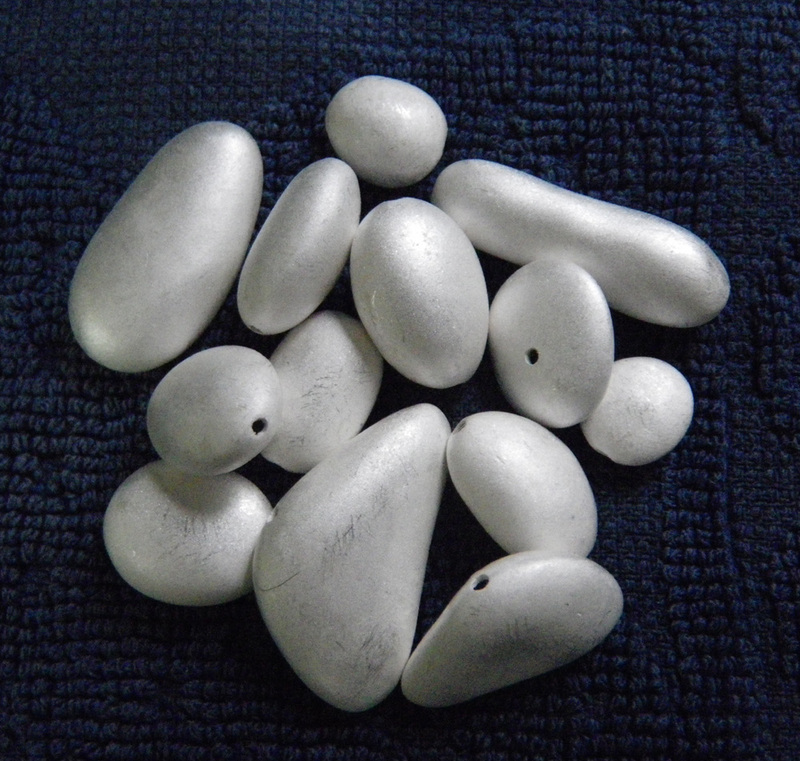 I’ve promised a necklace of silver “rocks” for a silent auction at a big fund raising event in NYC in November. So, I have quite a few more rocks to make. Meanwhile, I did finish my Celie pendant today. So not my style, but I wore it for our dinner guests tonight and got some compliments. Photo tomorrow! Wow – you have been busy! These look lovely. Hope you’ll show your Celie workshop pendant soon too.